We live in perilous times. We do not know what is going to happen on any given day. I am pretty good at predicting the future. After all, before Ferguson, I predicted the rise of civil unrest in America due to racial tensions. See, Progressivism, pages 17-18. Alas, I am not sure where we will go from here. We currently worship a group of people who have lots of guns and prisons, who take our money by force while conning us into thinking it is for our own good, and make our kids go to their daytime juvenile detention centers (“schools”) which then teach how great the State is and how it can produce peace, justice, harmony and prosperity and solve all of our problems and never create any itself. And if anyone comes forward to expose the scam, they are the crazy ones! And yet, most Americans are Cargo Cultists who believe the almighty state that raised them—most kids see their teachers more than they see their own fathers—can do no wrong and will solve all their problems if they only had more money and more power. So, while we observe a daily kaleidoscope of government failure, cops killing drivers while engaging in portable tax collection for example, the 1984-style propaganda film imprinted on our brains by decades of brainwashing in government schools and through the media makes us see something entirely different: the need to make the perpetrator of these crimes, wars and economic predations, the State, ever more powerful. At times like this, I also love to quote the last word of Bridge on the River Kwai: “Madness.” So, in the world of madness, the state will somehow solve the problem of one of their own, who they educated and trained to kill, shooting 12 police officers because he was angry about the state killing people. 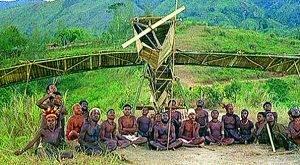 There are three inter-connected mindsets that underlie the Cargo Cult of the State: progressivism, leftism, and archism. Let’s take the last one first as it’s a term you may not have seen before. I explain the term more fully in a forthcoming book but archism simply means all the implied beliefs, rarely stated out loud, involved in the seemingly benign and almost universal belief that we need states in this world. My point is, just because we have states does not mean the implications of that fact are not exceedingly important for understanding what is happening on a day to day basis. The great irony is that we think we understand the opposite of archism, anarchism, very well even though it does not exist, while we barely understand archism even though the state exists everywhere. I would say about 90% of Americans are progressives, yes, even you conservative Republicans. You are a huge part of the problem. Obviously, every progressive is also an archist. In the great historical conflict that Rothbard has described as the endless war between society and the state, the progressive believes that for any problems that emerge, the state can usually solve the problem better than society can. As I explain in detail in Progressivism: A Primer, progressivism is not a rational system of thought. Progressivism is not an argument. It’s a form of therapy that uses the state to reduce existential angst. That’s why it’s so hard to eradicate! Lastly, we come to the most dastardly of the three Cargo Cult mindsets, leftism. That’s a huge topic I can only touch upon here. This is all provisional as I haven’t decided whether leftism consists of one big bad idea or a set of bad ideas and if the latter, how the bad ideas fit together to form a coherent ideology. Obviously, leftism involves a maniacal desire for the state to make everyone “equal” in the sense of material condition or result but I suspect the roots of leftism are far more insidious that even that totalitarian nightmare. My working hypothesis is that at the core of leftism is a subliminal desire by unhappy people to use the state to mitigate their unhappiness by making lots of other people miserable as well and by exercising power over them, the ultimate revenge of the miserable. What percentage of the population is leftist in the above sense? Hard to say but I think fifteen percent is about right. 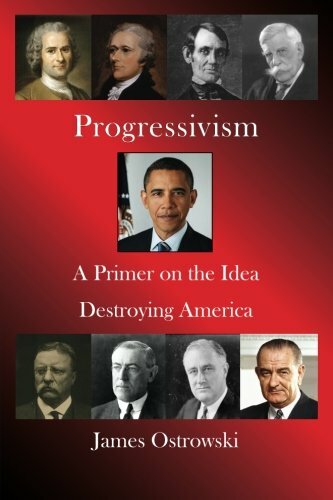 It goes without saying that every leftist is progressive, but not every progressive is a leftist. Leftists, however, exercise an influence out of proportion to their numbers due to virulent fanaticism fueled by rage. What the three mindsets share is support for state power per se and increasing state power robotically in response to the crisis du jour. The problem is that this does not solve problems but merely creates new and bigger ones. Yet, since these mindsets are not rational or based on evidence, the same mistakes are made over and over again without compunction or recognition of error. This is the conundrum in which America finds itself in July of 2016. For this, you can thank the Cargo Cultists of the State.